Network Bulls, Asia’s No.1 IT Training Company comes with another good news for its students. 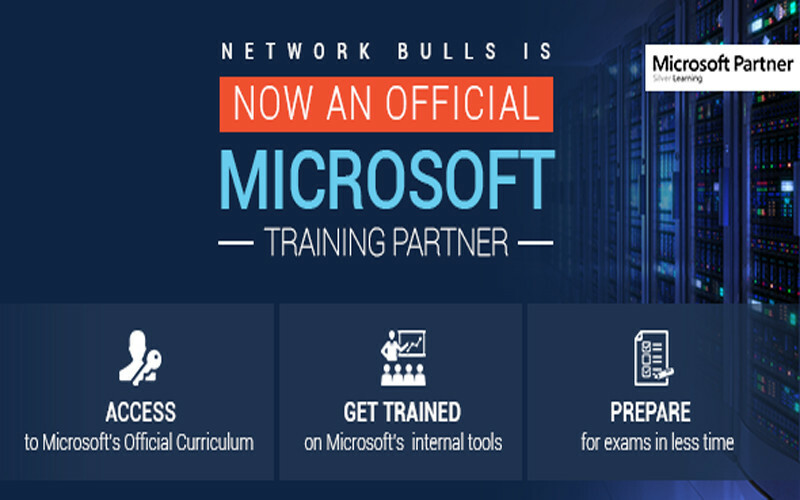 Network Bulls has now become an official training partner for Microsoft Certification Training. 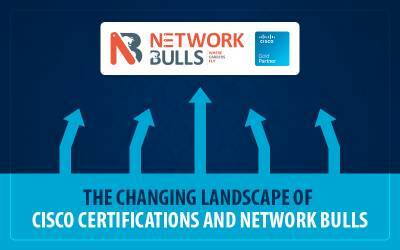 This association marks the beginning of a new era in Network Bulls history and adds Microsoft Certification Training as a second major offering for students from this world class training institute after Cisco. Currently, Network Bulls offers training on Microsoft Courses Such as MCSA Windows Server 2012, Microsoft Exchange Server 2013, MCSE Communications, MCSE SharePoint, MCSE Messaging, MCSE Private Cloud, MCSE 2012 Server Infrastructure, MCSE 2012 Desktop Infrastructure and Microsoft Active Directory Services on Windows Server R2. Apart from this, Network Bulls also delivers training for up gradations such as if you are already having Microsoft Exchange 2010 Certification, you can also get trained for upgraded version which is 2013. This is not it, Network Bulls also have Career Kick Start Microsoft Combos which make sure that you become an employable candidate once you finish the training. Major Microsoft Career Kick Start Combos offered by Network Bulls are MCSE 2012 Server & Desktop Infrastructure + Private Cloud and MCSE 2012 Server Infrastructure + MS Exchange Server 2013 + Active Directory Services. After these career kick start courses, no candidate can be unemployed. 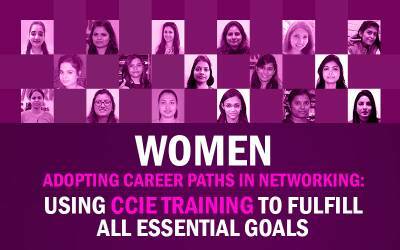 To Know More Network Bulls Career Kick Start Courses Click here. Network Bulls plans to expand its Microsoft Training offerings with the addition of Microsoft Azure and Office 365 shortly. Access to Microsoft’s Official Study Material and Curriculum – The biggest benefit to students is that they will be able to access all official study material from Microsoft and training plans to be based on most updated and official course curriculum. 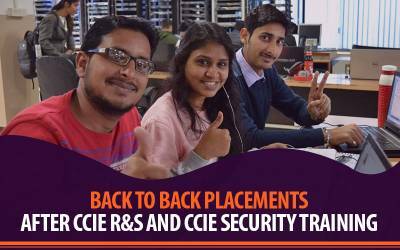 This enables knowledge-based and exam oriented learning that makes sure you certify for sure. The practice of Real and Internal Microsoft Tools – Now students opting for Microsoft Courses Training at Network Bulls also get access to internal tools which make them adept with technology. Practice on these tools provides exposure of real life scenarios and builds a solid base for making students ready for practical exams. Pass the exam in less time – If you wish to attain Microsoft Certifications then it is highly recommended to go with an official training partner for above two reasons and also because of high success rate delivered. 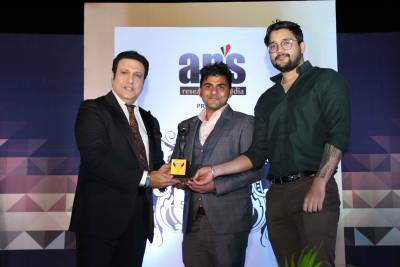 And Network Bulls has been one of the most reputed Microsoft Training Company in India for producing highest 1st attempt success rate with least study duration. Network Bulls is now set to establish new records in Microsoft Training Industry India with this Microsoft association. With the biggest pool of Microsoft Certified Trainers and World’s Largest IT Training Infrastructures Network Bulls is best placed IT Training Company in Delhi/NCR, India for Microsoft Certifications Such as MCSA Windows Server 2012, MCSE SharePoint, Microsoft Exchange Server 2013 and other MCSE Certifications. To know more about Network Bulls MCSE, MCSA or other Microsoft Certifications Contact Us.